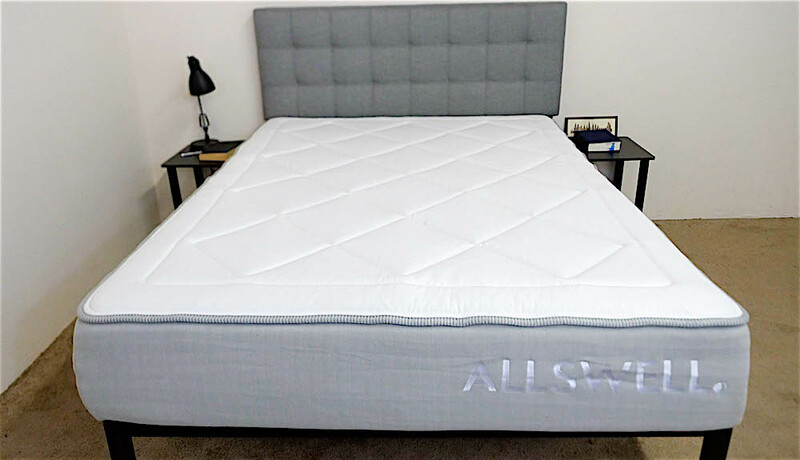 Last month, we wrote about the launch of Walmart’s new online-only bedding brand Allswell, which seeks to help customers find their “Instagram-worthy dream bed.” Now that the digital line has officially debuted, it’s time for me to take a look at its pair of flagship mattresses. In an effort to appease a wide consumer base, the brand has unveiled two beds: the Softer One and the Firmer One. These mattresses have totally different constructions, but before I can dive into their separate layers to see what’s going on below, I’ve got to let them decompress. So let’s unbox these Allswell sisters and get them set on their frames! Though both Allswell beds are 12” tall, sleep cool and come with the same built-in plush topper, their constructions are fairly different and are meant to epitomize either the perfect all-foam bed (the Softer One) or a great hybrid (the Firmer One). I’ll dive deeper into what all this means in my full review of the mattresses, but wanted to give you all a sneak peek into these beds’ distinct builds. Cover – The cover is quilted with three inches of super soft foam, allowing the sleeper to sink into the bed straightaway. The material is also breathable and provides some nice cooling to the mattress. Comfort Layer – The comfort layer is comprised of 1.5” of memory foam. When combined with the quilted cover, that makes for 2.5” of memory foam, which results in an incredibly plush, pressure-relieving feel. Contour Layer – Below the comfort layer, you’ll find an inch of the brand’s Airflow Foam. It’s soft to the touch and has a slow response to pressure, so it’ll help extend the body contouring of the comfort layer deeper into the mattress. Transition Layer – Next up we’ve got 3” of SuperSoft foam, which has a quicker response to pressure than the foam layers up top. The main function of this section is to transition the sleeper into the firmer base below. Foundation Layer – The base is comprised of 5.5” of high-density polyfoam. This layer gives the bed its structure and shape, as well as some nice deep compression support. 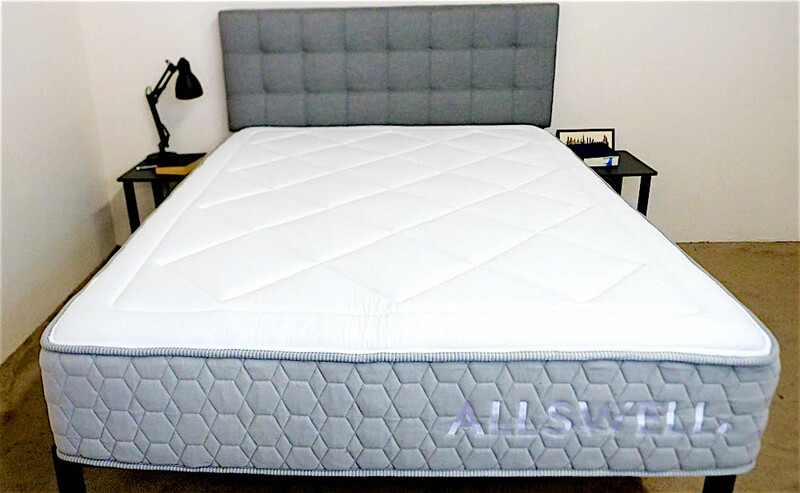 Cover – As with the Softer One, the cover here is quilted with 3” of super soft foams, which provides the sleeper with some immediate pressure relief. Comfort Layer – Beneath the plush cover, you’ll find an inch of Airflow Foam. This material is similar to memory foam in that it has a slow response to pressure, producing both pleasant sinkage and body contouring. Transition Layer – Next up, we’ve got 2.5” of a soft polyfoam material. This section is firmer than the one above it, functioning as a transition between the soft layer up top and the pocketed coil system below. Support Layer – This layer is comprised of 7.5” of pocketed coils, which gives the bed its bounce and support. Given that these coils are individually wrapped, they’re also going to encourage airflow and excellent motion isolation. Side sleepers – Considering the bed’s soft all-foam construction, I’d say this could make a great pick for side sleepers. I’m guessing the plush memory foam top layers will provide excellent pressure relief to the shoulders and hips. 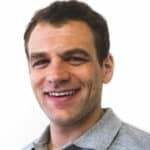 Memory foam feel – If you have a penchant for memory foam, you’ll find a lot to love in this mattress, which incorporates a lot of the material into its structure. Pressure relief without feeling stuck – Like the Softer One, this mattress is going to provide the sleeper with some quality pressure relief. However, the difference here is that the pocketed coil system is going to support the sleeper by lifting them up and out of the mattress. Sleeps cool – The cooling properties in the cover combined with the fantastic airflow of the individually wrapped coils means this could make an awesome bed for anyone who sleeps hot. That’s all for now, check out my full review for more info! What Is Biphasic Sleep and How Might It Benefit You? Thanks for all the reviews! My wife and I definitely want a softer mattress and are side sleepers. We currently have the nectar mattress and don’t like it. What do you recommend? I’m eager to see your review of the allswell softer mattress.